Don’t worry, if you listen to the media, everything is burning down… maybe it is. Please note, that I’m not a Facebook Ads “Expert”, I simply spend a lot of money on them for my companies and so it’s extremely important that I understand the future of it. 1. in general people feel like they are victims of society, they feel like what they do are being used against them and they need someone to point a finger at. The media understands this, which is why you’re seeing it across the media, the way it is. Facebook is no longer the “cool startup”, it’s the company that will profile you and then sell your data for profit. There’s a feeling of lack of trust inside… and the media is manipulating that fear. Because of it, a select few people will delete their Facebook Accounts, however, for the most part, as history shows, people are “okay” with their privacy being taken away as long as it doesn’t hurt their life. Further, because of our addiction to dopamine, it’s unlikely that it is a large number. It took decades for people to stop smoking after studies showed that it wasn’t good for you. I would think that Facebook is MORE addictive then cigarettes. Bottom-Line: I don’t think “everyone” is going to leave the Facebook Platform. 2. Facebook is a target for the Government at the moment and the “retargeting” that occurred during the election is a prime signal that it’s an “easy” target for them to go after. It’s entirely possible that there is a future that’s near in which you will no longer be able to be retargeted just like there is a “do not call” list. For most audiences, this won’t matter — I believe most people want to be retargeted vs. not being retargeted. Further, I don’t believe there will be a day when you simply won’t be able to be “targeted”, the advertising industry is massive and the $$$ that influence our laws is far to great for this to occur. Bottom-line: Changes to the platform will occur, however, I don’t see them being a massive issue. 3. the amount of data that you’ve had access to will continue to decrease… at some level Facebook (along with other platforms) has some level duty to “protect” information. Largely, this is for optics. They don’t want to actually exclude this information from targeting, simply because they make more money when they don’t. However, expect further inability to target based on things like if someone is in a relationship status or even perhaps things like household income %. Bottom-line: Use the targeting you can, while you can. 4. Facebook has ran out of advertising space, the cost is now rising, what once worked, isn’t any longer. That means that the cost per click is rising at a steady pace and the cost of attention, such as the cost per video view is also rising. First… you have to spend more time being able to capture attention on the newsfeed. Second… you have to be more “top of mind” or “Omnipresent” in the newsfeed. Third… you have to meet someone at the relevant point of access, meaning you don’t attempt to try to get them to do something of high commitment. Fourth… you have to have a REAL business model. Bottom-line: Attention is becoming more expensive, your signal more difficult to boost to the relevant audience. 5. those who know their customer avatars well, are positioned as brands, have the right messaging and have a brand purpose will win. Someone must decide if you are for them quickly. If so, they will continue. And it’s your job to ensure that happens quickly, so you don’t have to pay for those who are “on the fence”. If you don’t, you won’t be profitable. If you do, you can still print money. 6. if you embrace the “bubble” you’ll be greatly rewarded. What I mean is that on Facebook, there are “bubbles” that have been created for us. It’s our job to create our own “bubble” aka. “small pond” and become the most relevant choice for that small bubble. Lead Generation and Online Marketing is far less about having more and more leads and it’s becoming much more about delivering content to your small bubble on a regular basis. 7. micro-content will win, much as Dennis Yu talks about with his 1-minute videos, it’s the content such as long-form posts, 1-minute videos and “brand impressions” which will win the long-game. It’s a lot less about the “funnel” and it’s more about the “brand experience”. In Feb 2018, I spent 50% of my ad budget on retargeting 26,000 people. with unique content that’s relevant. All micro-content that’s easy to digest and that is extremely relevant. 8. Facebook will start going through the entire transaction, meaning that your “score” on Facebook will no longer be determined by if someone likes your ad. Facebook will follow-up with your customers and ask of the actual experience. Again, it means building a real business that actually delivers results. Facebook understands that their future is based on the thinking process of it’s users and if they feel like Facebook is “standing up” for them. Bottom-line: Facebook Ads aren’t a get rich-quick scheme. 9. Facebook Groups are the largest opportunity on the entire platform at the moment. You can now pixel your Group audience, further, they will turn on “boosting” inside of your group. Remember when I spoke about “bubbles”? There’s no better place to create a bubble. 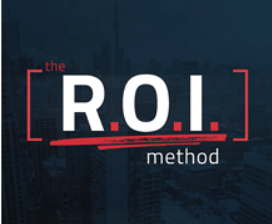 While allowing you to generate massive connection, community and conversion (the 3 C’s of Intimacy) which will lead to even more profitability for your business. I spend a lot on advertising each month, as a company, we are attempting to divert our advertising dollars to other places. By June, Facebook will be 30% of our advertising budget. 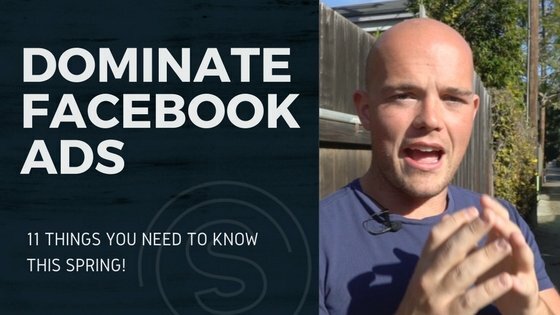 Use Facebook to “refine” your marketing experience and funnel and then start using other platforms, driving your growth from Facebook and then mitigating your risk. This is what I’m currently doing myself, along with my higher-end clients that have made Facebook work extremely well for them. 11. Facebook will start banning far more companies, business pages and ad accounts and their tolerance level will be extremely low. Facebook will ban entire segments of the industry– they did it with Crypto Currency… and I’m 99% certain that the “New Business Opportunity Space” will be hit within the next 12 months including the Affiliate Marketing space. The only way around it? Build a true business, build a true brand and create a connection with people on a deeper level. None of this is “new”. I’ve been preaching it since 2015. I have at least 5 marketers a week and “online guru’s” who are reaching out for my help. “It’s not working like it did last year”. and the standards of society are leveling-up. It’s the dawn of illumination and ethically based marketing. Be Relevant at the Right Time and the Right Place with the Right Messaging, Offer and Positioning. Be Omnipresent to those people on the right platforms, with the right content, with the right level of frequency and timing. Become connected with your leads, allow them to have conversation with you and dig your flag in the sand to say what you stand for allowing them to feel Intimacy with you. The ability to create an exponentially growing business in any niche, nearly overnight.